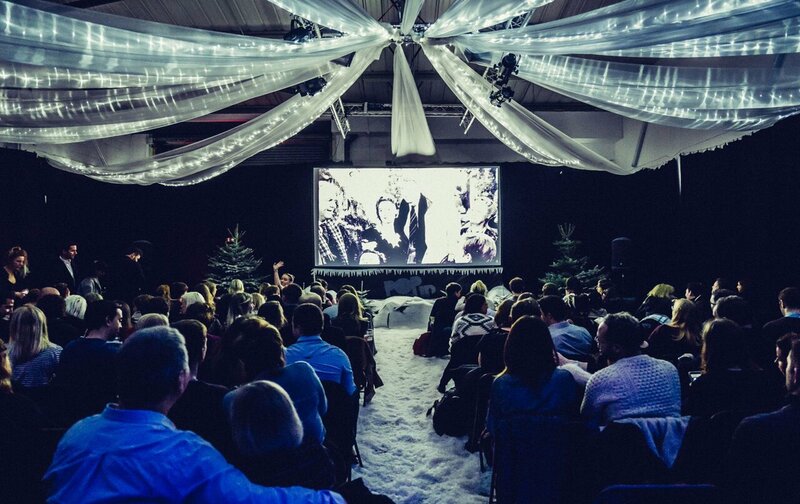 London Pop Up Screens: London’s Coolest Movie Event! Fancy a trip to Narnia? 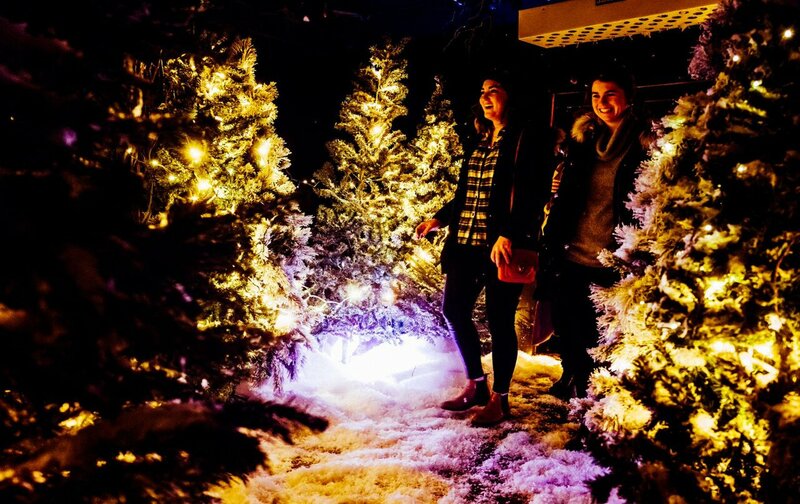 Trade in your sofas and Terry’s chocolate oranges this Christmas for a movie screening with a twist at the innovative Pop Up Screens’ Christmas grotto. The legendary Pop Up Screens that saw Londoners enjoying blockbusters throughout summer is back to see us through the season until Christmas Eve. 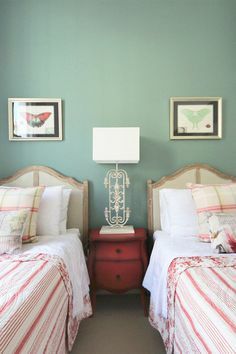 You’ll be delighted from the moment you walk into a magical wardrobe (just like Narnia) to be met by a winter wonderland lined with fir trees, dusted with snow and brimming with mulled wine. While we can’t guarantee a cup of tea with Mr. Tumnus, you can enter London’s very own version of it, with classic holiday films showing through December. 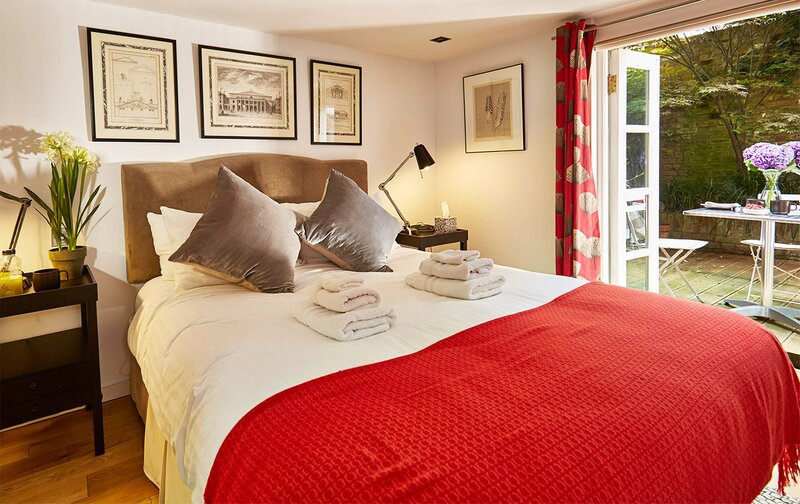 Movie lovers will adore our artful apartments, that are situated in popular London districts. 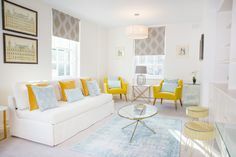 Our stunning Portland apartment is located in charming Chelsea and has a stylish modern décor and a private garden patio – a rare feature and one we think you’ll love. This year’s repertoire aims to bring the wonder of Christmas to people of all ages in an unforgettably festive surrounding. Classics include the likes of The Lion, the Witch, and the Wardrobe, Home Alone, Love Actually, Miracle on 34th Street, and of course Elf. These will be interspersed with the more recent Oscar-approved films such as La La Land, Disney’s hugely popular Frozen and the comically acclaimed Bad Santa. During Cinema in the Snow, snuggle up with loved ones beneath the festive lights and enjoy as many treats as you fancy, including Drum and Kernel popcorn, Terry’s chocolate oranges, handmade brownies, luxury hot chocolate, and mulled wine. Make snow angels in the (faux) snow, and then enjoy a romantic date night watching Love Actually. Bring your children to watch Olaf sing about the joys of summer in Frozen, or four British children exploring a magical land beyond our own in The Chronicles of Narnia. 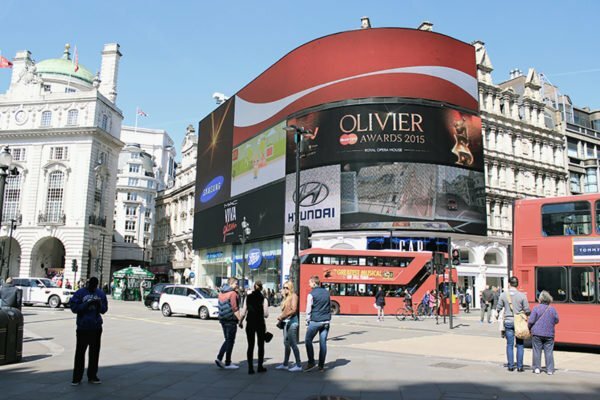 Pop Up Screens has received accolades from Londoners and tourists alike. In the summer, they host amazing outdoor events under the stars, and the winter event is hugely popular because it is so special. 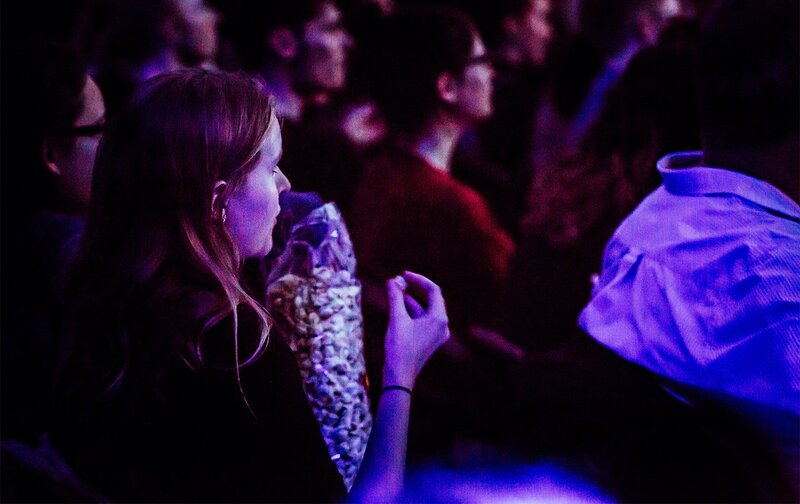 Beyond enjoying yummy treats, you get to appreciate films in a one-of-a-kind atmosphere. You’re not simply watching It’s A Wonderful Life; you’re creating a memory by immersing yourself in London culture, a city famed for its creativity and artistic flair. The Hackney Showroom is located in East London, an eclectic, vibrant part of the city that has become a fashionable spot. 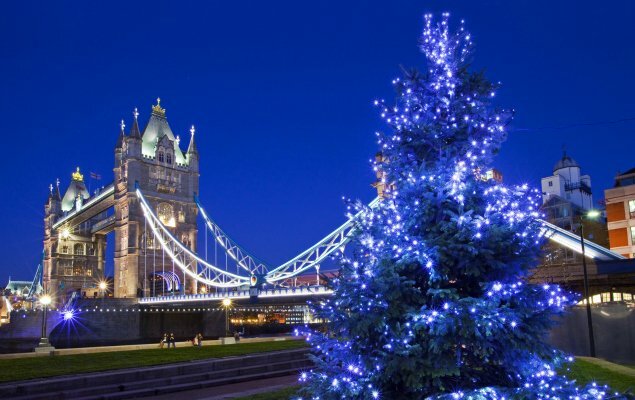 It provides a more authentic London experience, so if you’ve come to visit this fantastic city for the holidays, it’s your chance to escape the tourist trail for a while. Explore this innovative, arty neighborhood for a real insight into London life. With fairy lights and pine trees, snowflakes and hot chocolate, what more could you want from your movie winter wonderland? Elf, Frozen, Love Actually, Toy Story, Home Alone, Home Alone 2, La La Land, The Chronicles of Narnia: The Lion, The Witch, and the Wardrobe, Bad Santa, Harry Potter and the Philosopher’s Stone, The Grinch, White Christmas, Muppets Christmas Carol, Miracle on 34th Street, Sleepless in Seattle, Nightmare Before Christmas, Arthur Christmas, The Santa Clause, It’s a Wonderful Life, Miracle on 34th Street. Prices: adults £20; under-10s £10. Running through December 24. Hop on a bus and explore more of London’s neighborhoods on our Original London Sightseeing Bus Tour, which is a marvelous way to uncover the city and its many districts. There are over 90 different stops and you can stop wherever takes your fancy. Our friendly reservations team look forward to hearing from you! Posted on Wednesday, December 13th, 2017 at 8:17 am in See & Do. You can follow any responses to this entry through the RSS 2.0 feed. You can leave a response, or trackback from your own site.